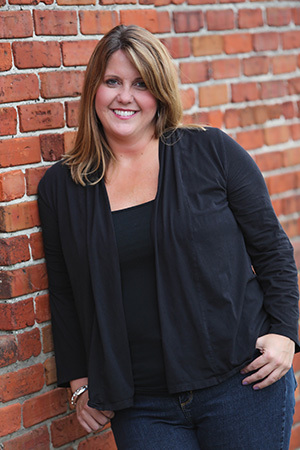 Dr. Angie Rhodes is a native of western North Carolina who received her bachelor’s degree in 1995, followed by her Doctorate of Dental Surgery in 1999 from the University of North Carolina at Chapel Hill. While in dental school, Dr. Rhodes took advantage of many opportunities including working at an orphanage in Mexico and a public health clinic in southern Russia. She also served as president of the Delta Sigma Delta dental service fraternity. Upon graduation, Dr. Rhodes completed a two-year associateship in Greenville, NC before opening her own practice in June 2001. Dr. Rhodes absolutely loves dentistry and continuously searches for the best courses nationwide to keep her skills updated. She is a member of the American Dental Association, the North Carolina Dental Society, and the “W” group chapter of the Seattle Study Club. She is also Invisalign certified and enjoys helping patients with all of their dental needs, whether they are related to restoring form and function to your bite, or cosmetic in nature. She is married to Bob Rhodes, a native of Washington, NC. They are the proud parents of daughters Kennedy and Campbell and one son, Rob.